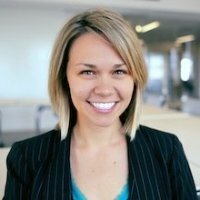 Brittany Laughlin is a General Manager at Union Square Ventures (USV). USV is a venture capital firm that manages $1B across six funds. Their portfolio companies created services that have fundamentally transformed important markets including Twitter, SoundCloud, Tumblr, Foursquare, Zynga, and Kickstarter, among many others. Prior to Union Square Ventures, Brittany founded Incline, transitioning military veterans into technology jobs, and co-founded gtrot, a social travel recommendation engine. Previously, she worked at American Express. Brittany has a Bachelors degree in Marketing and International Business from NYU.